In 1904 the 29-year old Louis Harvy Chalif arrived in New York City ready to teach ballet. Born in Odessa, Russia, he had become a master at the art of dance. A year later he opened the Louis H. Chalif Normal School of Dancing, even while he was dancing with the Metropolitan Opera Ballet between 1905 and 1906, where he was assistant ballet master. 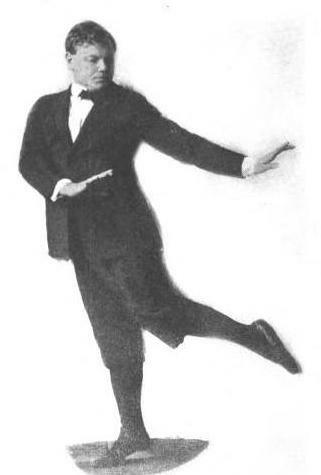 In 1910 Chalif retired from dancing to devote his energies entirely to teaching and writing books on dance. His wide repertoire extended far beyond ballet—he was skilled in folk, Balkan, ballroom, classical, esthetic, character, national and interpretive dance. The sole area the conservative instructor shunned was modern dance. By 1914 Chalif was ready to construct his own building to house not only his school but his family. He purchased two structures across from Carnegie Hall at Nos. 163 and 165 West 57th Street. The instructor did not have to look far to find his architects—the office of George and Henry Boehm was in the same building as Chalif’s school at No. 7 West 42nd Street. Demolition of the existing 57th Street buildings began in 1916 as The American Contractor announced plans for a 5-story brick, stone and terra cotta residence and school. The projected cost, as filed by G.A. and H. Boehm, was $110,000. Chalif’s building was designed to produce added income through rented space for private events. The street level housed the reception foyer, paneled in wood. 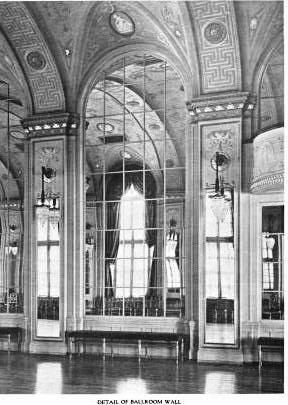 On the second floor was the grand ballroom, while on the third was the banquet hall that was connected to the large catering kitchen in the basement by a service elevator. The “gymnasium floor” was on the top floor, covered by an iron and glass ceiling supported by a steel-trussed roof. The entire fourth floor was reserved as an apartment for Chalif and his family. The ballrooms were rented for a variety of purposes. 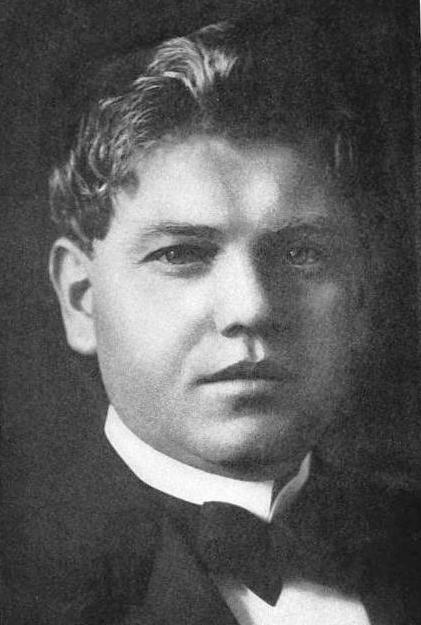 On February 17, 1918 The New-York Tribune announced that because of the unexpected demand for tickets, the “entertainment which was to have been given at the home of Mr. and Mrs. Daniel Webster Herrman, 85 East Seventh-ninth Street, on Tuesday evening, for the Red Cross Institute for Crippled and Disabled Men” would be held at the Chalif studio. 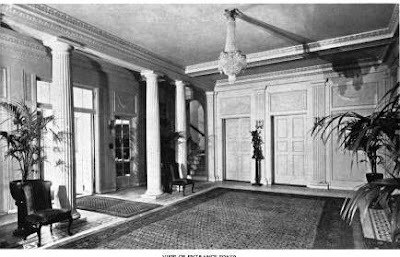 In 1921 the Third Roosevelt Anniversary Ball was held here, as was a dance hosted by the girl marines of the Semper Fidelis Post. Whether Methodist Episcopalians were allowed to dance or not, Chalif continued to instruct and many of his students would go on the stellar careers. The great Russian ballerina Anna Pavlova wrote “I admire your energy and your work.” Among his students were budding movie stars Ann Miller, Cyd Charisse, Buddy Ebsen, Marion Davis, Alice Faye, Ann Sothern and Mae Murray. Rita de la Porte, who would become a major dancer at the Metropolitan Opera studied here, as did Alice Cannon who went on to become assistant ballet mistress at Radio City Music Hall. In 1933 Louis Chalif left his Temple to Terpsichore to move to Rockefeller Center’s International Building. 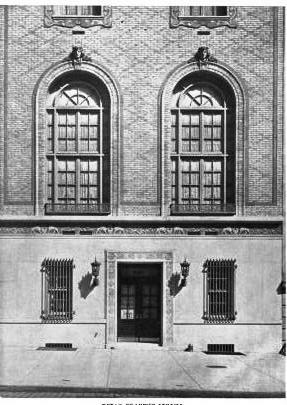 A year later the 57th Street building was lost to the Harlem Savings Bank through foreclosure. The grand building saw a quick succession of varied tenants—the Galy Russian Art Gowns store, Vanity Fair Theater Restaurant and Georgian Hall until 1937 when it became vacant. 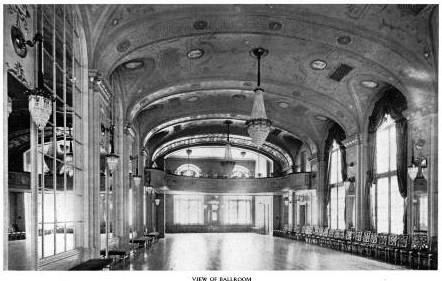 The Chalif Building stood empty for five years during which the Harlem Savings Bank altered the grand ballroom into a theater with a mezzanine and stage. The Dover marble ground floor was remodeled at the same time with an arcade and iron balcony. In 1942 the building was purchased by the Federation of Crippled and Disabled, Inc. The organization provided artificial limbs and appliances such as braces and crutches to the disabled and aided them in finding jobs. Then in 1946 the spacious halls heard music once again. Carl Fischer, Inc., one of America’s premier music publishers, bought the building in February. 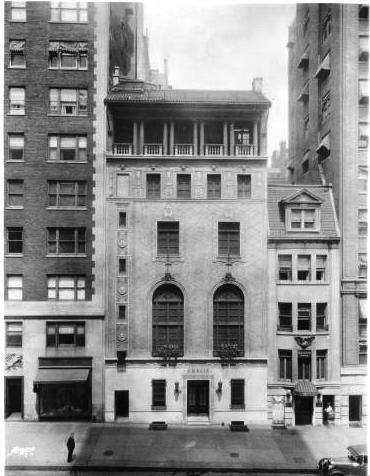 The firm established its retail store on the ground floor and held recitals and other musical events in the auditorium, renamed Carl Fischer Concert Hall, and in Chalif’s “Roof Parlor,” now called the “Carl Fischer Sky Room.” Here, during the 1950s, a series of events called the New Music Concerts featured premiere productions by composers like Benjamin Britten and John Cage. The building was sold once again, in October 1959, to CAMI Realty Corp., a branch of the Columbia Artists Management, Inc. The firm, which managed renowned orchestra conductors, opera singers and instrumentalists, hired architect William E. Lescaze to renovate the building. The four year renovation included the remodeling, again, of the street level façade. CAMI continued to use the second story auditorium, now known as Judson Hall in honor of Arthur Judson, for recitals. Not only an artists’ agent, Judson managed the Philadelphia Orchestra and the New York Philharmonic. But things did not end well for him and Columbia Artists. A rift occurred in 1963 that ended in an ugly separation. The New York Times reported “Mr. Judson and Columbia Artists Management did not part on the best of terms, and shortly after he left, he sent word that he wanted his name removed from the façade of the company’s building.” The second floor auditorium was renamed again; this time to CAMI Hall. Through the doors of No. 163 West 57th Street passed musical artists as varied and well-known as Jose Carreras, Wynton Marsalis and Luciano Pavarotti. CAMI represented stage and screen personalities as well, including Harrison Ford and Lauren Bacall. After having been remodeled several times, the street level façade was restored in 1983. Columbia Artists removed the modernist exterior and recreated the original Dover marble façade in Indiana limestone. The lost terra cotta band course was replicated as closely as possible to the original. The building is now home to IESE Business School’s research center which focuses on global business, media and entertainment. The international organization also houses its executive education programs here. Despite nearly a century of varied uses, Louis Chalif’s colorful Italian Renaissance school building is little changed. Passersby ogling the imposing Carnegie Hall would do well to turn around and take in the Temple of Terpsichore as well.